Born in Utrecht, the Netherlands in 1972, Astrid Trügg has had an interest in painting and drawing for as long as she can remember. Astrid’s work was initially inspired by the architecture, textures and shapes of the city and of harbours. In recent years her passion has been painting still lifes. She is inspired by everyday objects whose shapes or textures appeal to her. They may bring back memories of her childhood or travels, or sometimes they have an interesting history of their own. 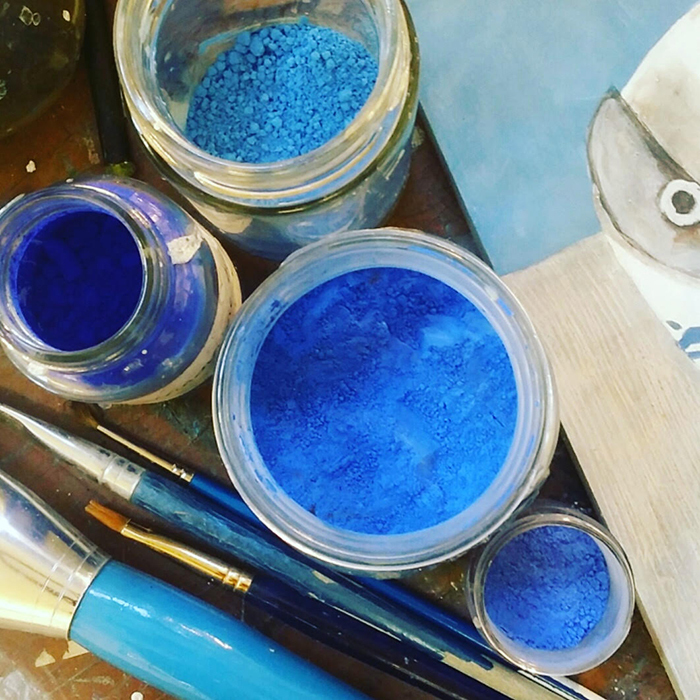 By mixing gesso and glue with pure mill-ground pigments, like lapis lazuli, she can produce unusually vibrant colours. This technique also enables her to scratch into the surface of the paint, creating fascinating and distinctive textures. She also uses collage, incorporating antique newspapers into her paintings, which often have a historical or personal significance to her. Astrid graduated from the Utrecht School of Art with a BA in painting in 1991. Inspired by the Scottish coastline, she moved to Edinburgh in 2003 where she completed a post graduate course in painting at Leith School of Art. 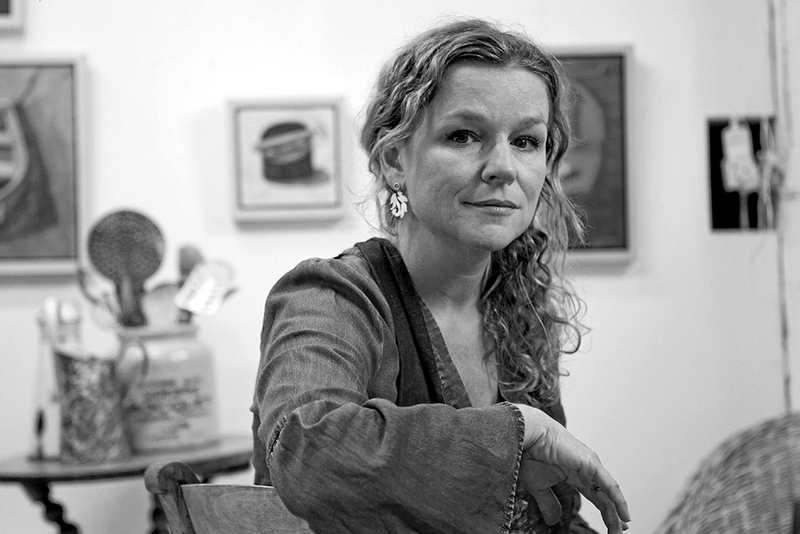 Astrid currently lives in the Scottish seaside town of North Berwick and works from her home and her studio in Coburg House Art Studios in Leith, Edinburgh.